Woolwich’s monthly farmers market is looking to move under cover over the winter, to the same building where new pub the Tap Room will shortly open. The pub is the project of local brewery Hop Stuff, located on the Arsenal site. The aim is for the first indoor market to occur in mid-October, though it may be delayed until November. The pub is aiming to open in early October. Both will face an area which could become a lovely square in coming years. 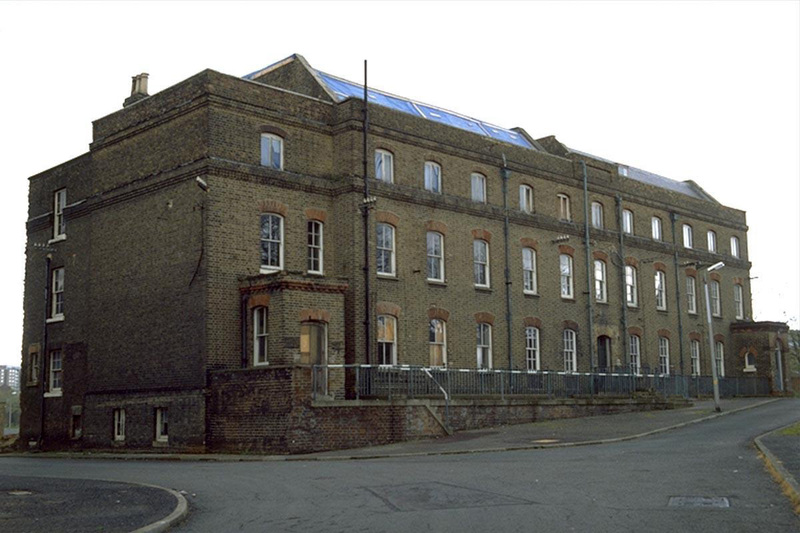 Directly opposite is the listed Building 11, or the Officers House, as seen below in the 1970s. Plans to demolish the building for a taxi turning circle were thankfully recently halted. The Officers House in a 1970s shot from English Heritage. Conversion to pub or restaurant? With restoration the building could accommodate a pub or restaurant at ground floor level with residential above. Its retention and re-use would nicely enclose the square offering active frontages on three sides. The other will be the side of the Crossrail station, with little chance of anything of interest facing the square as escalators are located behind. One of the towers beside the Crossrail station is seeing its protective sheeting slowly removed, revealing the brick grid exterior, as the project continues ahead of completion in 2017. 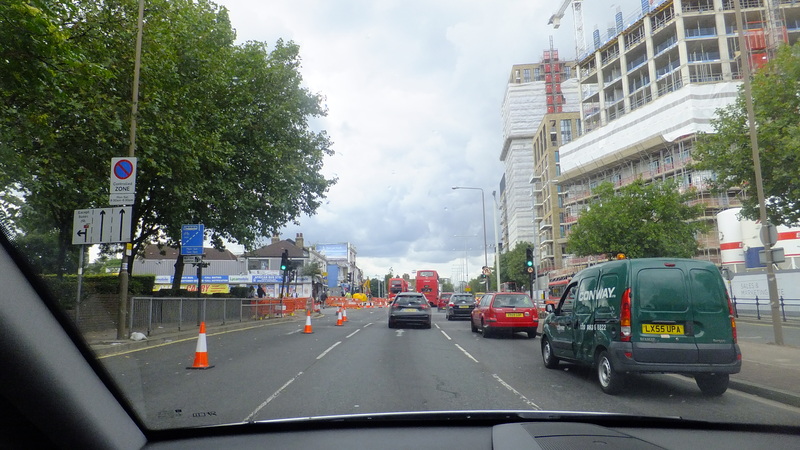 The photo was taken on a very slow journey with solid traffic all the way from Woolwich to Plumstead. I don’t travel through there much anymore, but when I do this seems the norm. One obvious trick to get people out of their cars would’ve been a segregated cycle lane by-passing these queues, but despite being a brand new development with wide paving lining the road, none are installed. Another option to help would’ve been a second Crossrail station entrance at the other end of the platform near Plumstead. Work on relaying paving was occurring at the junction just ahead. Hopefully this extends the improved streetscape further east towards Plumstead, with all the clutter and mess removed and a more open street emerge. If so, it should meet improvements made from 2016, as a result of £1.2m awarded from TfL. I expect this road to be lined with high density housing all the way to Plumstead High Street in future, so much more money should come in for a whole range of additional improvements to this major thoroughfare. But first, some action on people parking and blocking roads, paving and cycle lanes at peak times would be nice. About five cars were doing so on that trip. Then, when arriving at the one way system around the bus garage there was an accident with the police and ambulance in attendance. Shortly after, an argument between two drivers was occurring at the lights. Driving standards are very ropey in the area. Couple that to a stupid layout installed 10 years ago plus minimal enforcement, and that’s the result. But with £1.2m coming from TfL, an extra £400k from the Mayor, money from Peabody’s plans to build 870 homes around the bus garage island site and extra income likely from any housing extending down Plumstead Road, a serious re-working of the wider layout and links should occur. I hope all parties are working closely together. 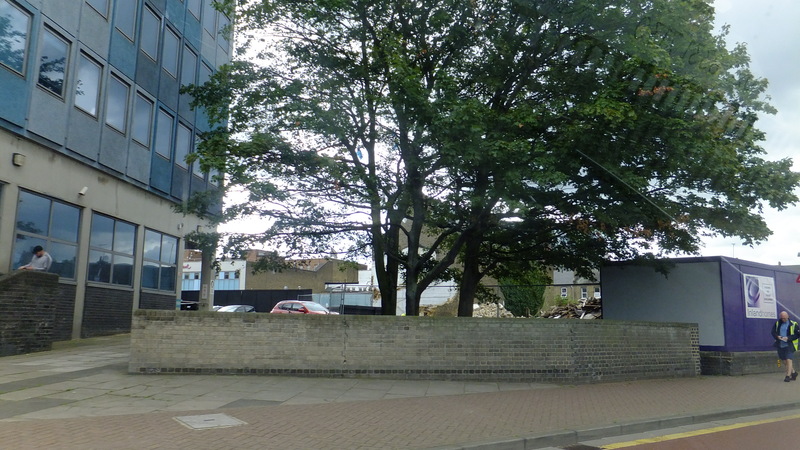 The purple hoardings on the right have since been removed as clearance occurs behind. Images and information of the planned towers can be seen here. As ever, much is going on, and getting many of these changes right is crucial to turning the fortunes of the town around. There’s much that’s looking positive. Interesting. 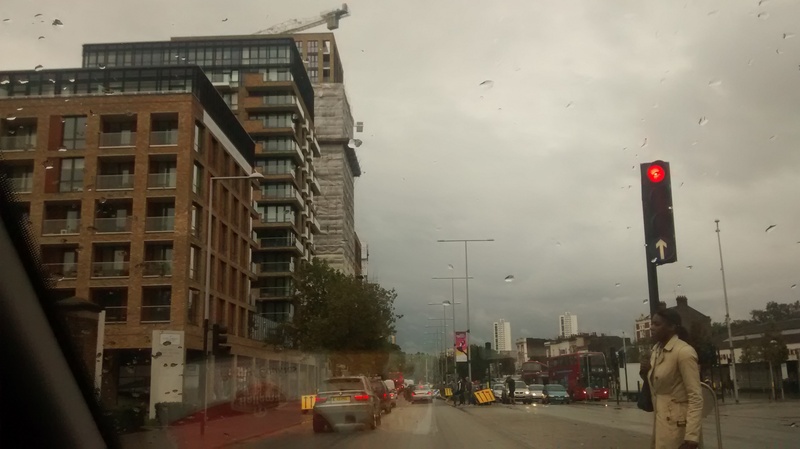 It looks like they are retaining Riverside House, but is it still occupied by Greenwich Uni? I didn’t know greenwich uni had offices at Riverside House – I thought it was only Greenwich council and HMRC. It’s seperate to the Callis yard tower plan. I expect Riverside to be a quick conversion to residential. My knowledge may be dated, but Greenwich Uni certainly did occupy Riverside House. My brother took a course there, but that was in the 1990s!! It could be they left the building.